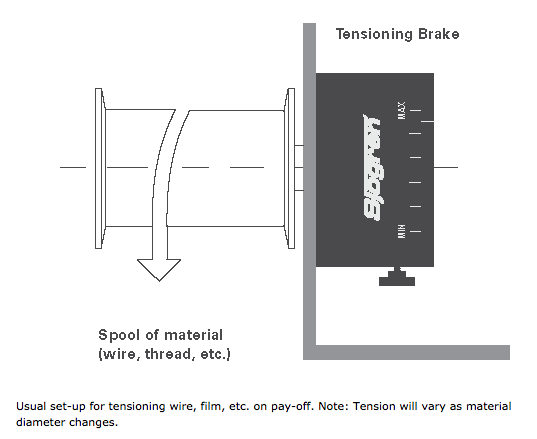 By helping control torque variations, tensioning brakes preserve drive train life in winding operations. 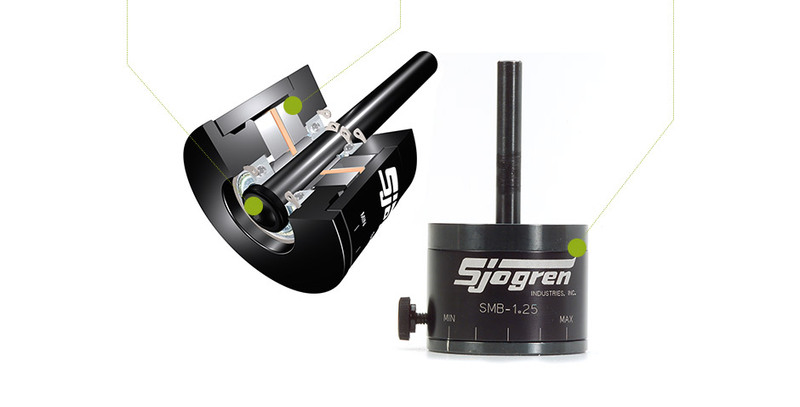 By relying on magnetic resistance (hysteresis), Sjogren’s brakes require no external power source and have no mechanical wear parts (other than ball bearings). The four most common applications are: material unwind operations for payoff applications; coilwind operations for constant tension using a nip roll; material handling operations for electric motor overload protection; and tightening operations for repetitive cycling/tightening. In the maximum, “like” magnetic poles are on the opposite sides of the center Hysteresis Disk. Magnetic lines of force travel through the narrow disk, producing a powerful magnetic field. In the minimum position, lines of force are relaxed, easing the magnetic field strength. As the hysteresis disk rotates through the alternating magnetic field, a resistance force builds. This resistance force is converted to constant torque unaffected by rotation speed.